Hollywood stars in and out of rehab. I gave it a go - but not my thing. Recieved today as part of a book relay! Received today in the post from torialouise as a RABCK - many thanks! Will probably release it onto a bear in Zurich as part of our Teddy Summer 2005 Challenge! An honestly written novel about addiction, rehab and emotions! I enjoyed this, if you can say that about a novel which deals with the dark side of human emotions and experiences. The 'heroine' charts her descent, rehab and recovery. I wonder how much this was based on Carrie Fisher's own experience of Hollywood? Thank you, Helen, for bringing this book to the meeting! 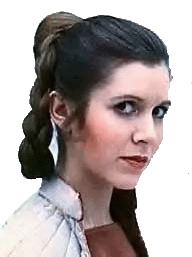 I loved Carrie in Star Wars.. and I know about her problems afterwards. So I'm curious to read this book! A very well written and interesting book. Carrie Fisher wrote authentically about the toughts of addicteds. I've always known that people in Hollywood act different than anywhere else. But I wonder how accurate this book is. A friend (not yet BC) wants to read this book, so I'm going to give it to her soon.